Are airline pilots worn out at an age of 55? What fraction of pilots takes advantage of such a rule (if it is available to them)? Is there really a steep decline in the capabilities of older pilots? I would expect that many pilots continue to fly, so I wonder whether it makes sense for Lufthansa to risk full confrontation. Also, if the reasoning of the union is right, it would be prudent for airlines to retire older pilots before they are a safety risk. My experience, speaking as a pilot who had to retire in 1999 from a small 747 carrier when the US age 60 rule was in effect, was that NONE of us close to retirement wanted to retire. More often than not, the attitude was, "It's hard to believe they actually pay us for this." We didn't want to quit; we were at the top of our game; the world was our playground. The money was also very good! What makes a good air carrier captain is not so much being a good stick or quick reactions, but being situationally aware, learning what to avoid, being able to read the politics of a situation (especially in third world countries), and other things that come to one primarily through experience. For example, when I hired on to my second 747 carrier as an f.o., I was paired with a relatively young, fresh captain. I was older, had been a 747 captain at a previous carrier, and had more hours in the airplane. We landed in Harare, Zimbabwe to pick up a charter. Our APU was inop, so as per standard procedure, we left #4 engine running to supply the pneumatic air we would need to start the other engines. However, when the ground handlers told us there would be a delay of a couple of hours, the captain ordered the engines shut down, saying that we would use a huffer to start. Both the f.e. and I simultaneously objected, both saying in so many words that we couldn't depend on there being a usable huffer in Harare. The captain ignored us and shut down the engines, believing that the capital of a country would surely have such. The fun started when he asked for a huffer to be hooked up for our start. Long story short, what would have been but a two hour delay turned into something like a 10 hour delay. It included hooking up 4 different beat up old huffers to the airplane, but even using the two best at once (the 747 can accommodate 2 hookups) failed. Finally, a mechanic worked on those two best units and managed to get enough pressure to start us. The captain was a good stick; he just hadn't had enough experience. Not the answer you're looking for? 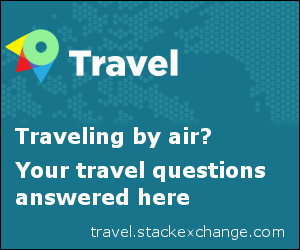 Browse other questions tagged airline-operations airlines airline-pilot or ask your own question. Can airliners operate without an operating APU? Since when are ground-based starting devices no longer in common use? Are there any jetliners flying that would still require them? What is a typical working day like for an Australian airline pilot? Are there any “alternative” passenger airline business models? What is a typical ratio of airline pilots to aircraft? How frequently are airline pilots switching between aircraft types (e.g. Airbus, Boeing, etc)? When do airline pilots arrive at airport? What airline academies are available to US citizens? Do airline pilots increase thrust when ordered to increase altitude by traffic controllers? What steps are airlines taking to retain and acquire pilots? Why can't airline pilots listen to music while flying?